Why is it so important that we accept, receive, and understand the breadth, depth, and height of God’s love for us? It is so important that we truly accept God’s unconditional, perfected, magnanimous love for us because without knowing how tremendously He loves us, we cannot truly share that love with others – and He is all about sharing His love. We can only walk in the fullness God has for each of us if we comprehend His great love for us (Ephesians 3:17-19). His love is not the limited, conditional, human love with which we identify most readily. God’s love for us is boundless, unending, and not swayed or prejudiced by our imperfections or wrong acts. 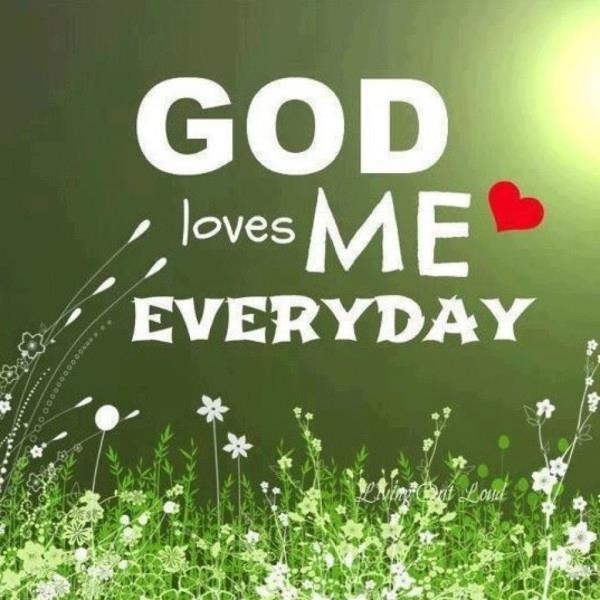 God loves us no matter what we ever do. Our right or wrong acts do not change His love for us. His love is steadfast, immoveable, and perfect toward us. His love is motivated by His desire to bless us. It is completely selfless and pure. You see, if we do not grasp and accept God’s love for us, then we tend to judge ourselves by our shortcomings. When we do this, we box our spirits in because we carry a weight within us that God never intended us to carry. We walk in a “sin” consciousness, and this makes us ineffective to overcome in our own lives, and it makes us less effective to minister the love and grace and mercy that those around us need in their lives. God sent Jesus to us to love us and bring us healing and freedom from the captivity of self-criticism and unworthiness. God did not send Jesus to condemn us (John 3:17). Does this mean we should feel free to do wrong just because we know God will forgive us and love us anyway? Of course not! We should not, however, walk around condemning ourselves for our mistakes and shortfalls. When we recognize error in our lives, we simply lay it down at the cross, at the feet of Jesus, ask for the Lord’s forgiveness, and immediately, He forgives us! We do not have to carry the weight of guilt or shame around in our spirits. When we understand God’s heart toward us, we are then free to be who He wants us to be and do what He wants us to do. Who does He want us to be? People who know that we are loved of the Father – at all times. What does He want us to do? Share His love and forgiveness and mercy and freedom and grace and deliverance and healing with those around us – to set captives free! It is so important to be confident in His love for us so that we can be arms of love to anyone around us who hurts. Hurting people hurt others, but those who know they are loved love others. The only source from which we can draw a true understanding of what love really looks like is from God, demonstrated by Jesus when He walked upon this earth. His example teaches us all we need to know, and it proves to us that in every situation, we belong to a compassionate Father moved by that which moves us. Remind yourself of His compassion by reading stories in the New Testament – the woman caught in adultery (John 8:1-11), healing of Jairus’ daughter (Luke 8:40-56), healings of all sorts, deliverance of the Gadarene man (Mark 5:1-20), just to name a few. God’s love and compassion are overwhelming. Let us be as overwhelming in our love for others! So, dear ones, be confident and know that you are loved of the Father with an everlasting love, one that looks beyond your personality flaws and weaknesses. When you run to God, He washes the slate clean. He is a restorer. You are engraved in the palm of His hand (Isaiah 49:16). You are the apple of His eye (Psalm 17:8; Zechariah 2:8). Accept His redemption, and then remember that as you have been forgiven, you will forgive others. As you have been shown mercy, you will grant mercy. As you have been given grace, you will demonstrate grace. As you have had your offenses wiped away, you will choose not to be offended at others when they do wrong to you. As you have been washed in the love of God, you will minister that same love to everyone you meet.